The head of the department is Roman Gakh, Candidate of Pedagogical Sciences, Associate Professor. There are 17 scientific and pedagogical workers at the department, including 5 Сandidates of Sciences, 3 Associate Professors. • introduction and popularization of the latest health programmes. • promoting a healthy lifestyle. Aerobics. Aerobics is widely popular among girls of the university. Classes are held in a specially equipped hall (Lvivska street, 9). Students can use modern equipment for this sport. 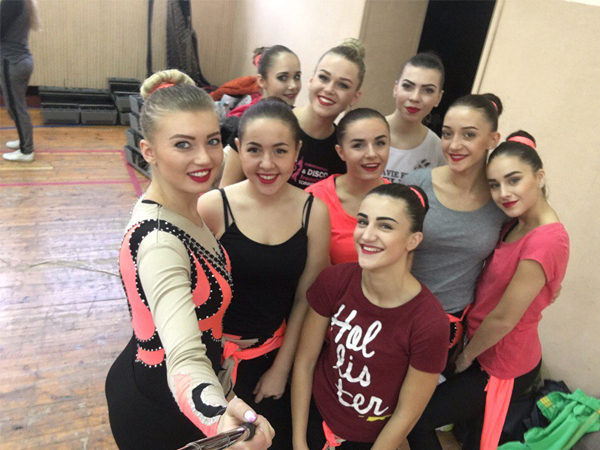 The university annually takes part in All-Ukrainian aerobics competitions. Coach – Nataliia Oleksiuk. Biathlon. Biathlon classes are supervised by the Olympic Games participant, world champion, two-time winner of the European Championship Iryna Merkushyna. The training takes place in specially equipped areas for biathlon training, and the best students have the opportunity to go abroad. Athletes get to the podium in biathlon world championships. Badminton. 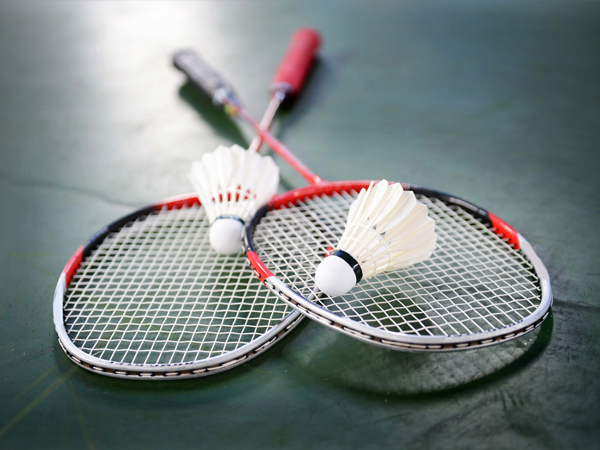 Badminton is an excellent game that strengthens corset muscle, joints and ligaments, improves the functioning of the respiratory, cardiovascular systems and efficiently burns excess calories. Badminton is also a great way to train coordination of movements and ocular estimation. This sport is considered an eye exercise, since it relieves fatigue after prolonged work on the computer. Badminton classes are useful for students as they have a positive impact on physical qualities. Lecturers of the Department of Physical Education and Sport, namely N. S. Maliar, N. M Bezpalova, B. P. Duda will help you get acquainted and learn the rules and practical skills of the game. Basketball (female). About 10 years ago the university founded a women's basketball team –"Univer”. Team coach is Dmytro Tretiak. In the 2017-2018 academic year, the team is in the Higher League of the Ukrainian Championship. In addition, during the academic year, the University holds basketball competitions for students, namely: Spartakiada "Pershokursnyk" (first-year student) and the TNEU Spartakiada. University students have the opportunity to play basketball at a professional level. On the basis of our educational institution there is a basketball team "Ternopil". Training is carried out twice a day. The team is in the Higher League of the Ukrainian Championship. The head coach of the team is Igor Bilous. 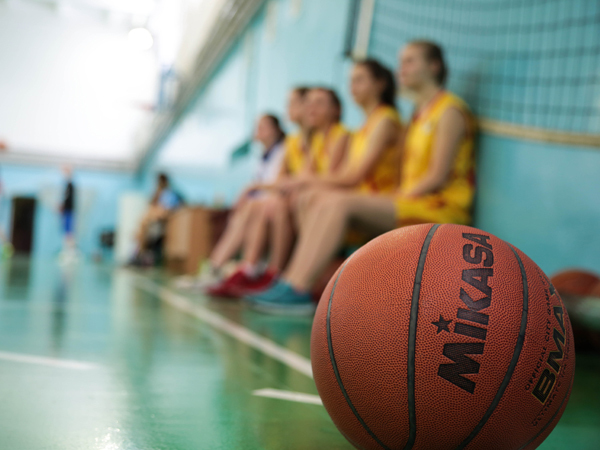 During the academic year, the University holds basketball competitions for students, namely: Spartakiada "Pershokursnyk" (first-year student) and the TNEU Spartakiada. Boxing. Section coach is Volodymyr Matsek. 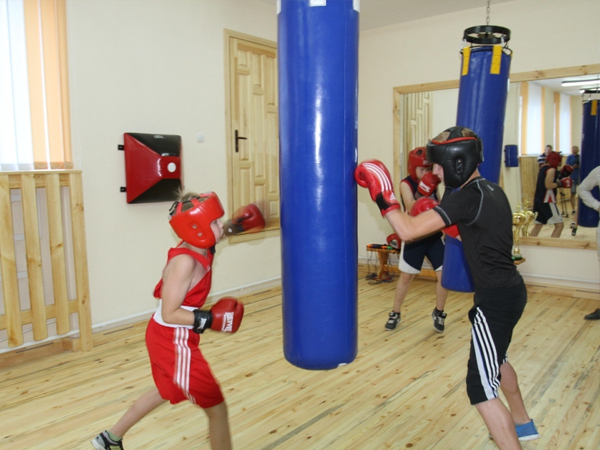 Classes are held in the boxing hall at 4 Lvivska street. Schedule: Monday - Friday from 16:00 to 21:00. Women's volleyball plays an important role in the student life at the university. 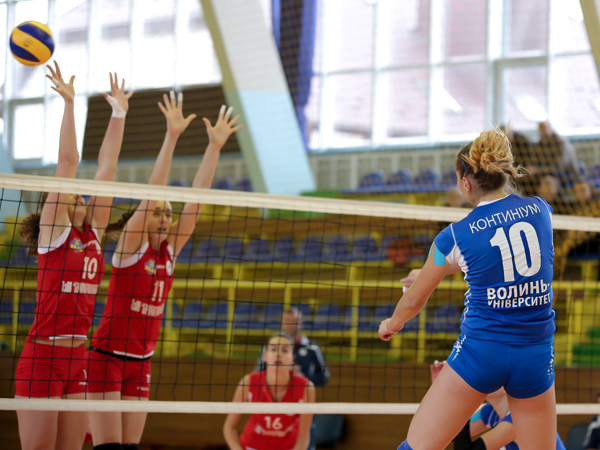 The women's volleyball team "Halychanka" was founded on the basis of the educational institution, and has been playing in the Super League of the Ukrainian Championship for many years. Volleyball lessons (TNEU team №1) are held at 3 Maidan Peremohy (gym №1). Head coach of the team is Viktor Turkula. Students of TNEU colleges have their own volleyball classes. For them, classes are held at Maydan Voli, 3 (gym № 1). The training is on Wednesday from 18:00 to 19:30, Thursday from 15:00 to 16:30. Coach – Liudmyla Boroznova. Volleyball (male). Classes are held in TNEU Building No. 5 at 8 Chekhova street. Coach – Valentyna Kovpak. On the basis of our university there is a female handball team – "Econom-Universytet-TNEU". Training is carried out twice a day, at the sports complex №1 and physical culture and health complex. 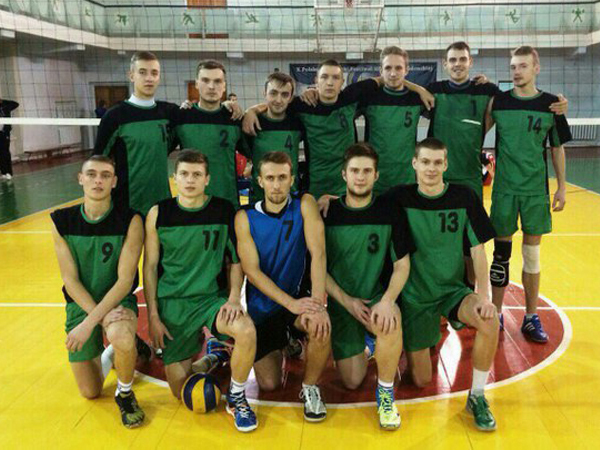 The team is in the Super League of the Ukrainian Championship. The head coach of the team is Andrii Vertsimaha. During the academic year the team participates in the Cup of Ukraine, the student sports games of the region, the regional Universiade, the Championship of Ukraine in beach handball. Handball (male). The section coach is Oleksii Huk. Classes are held in gym №1 on Monday, Wednesday and Friday at 20:00. 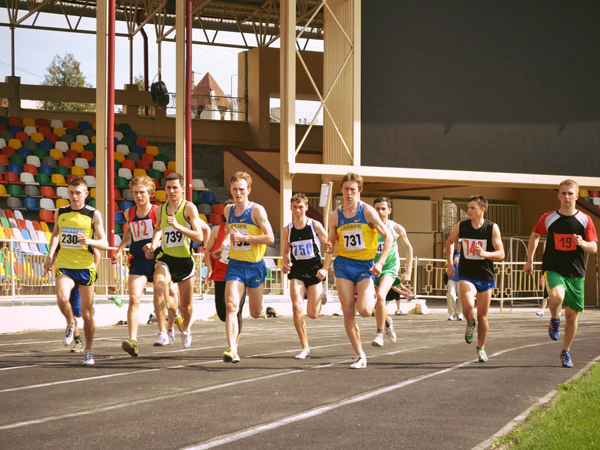 The best athletes take part in the competitions of the Higher League of the Ukrainian Championship in the university team. Judo, sambo. In the university, there are several popular types of martial arts, such as judo, sambo and combat sambo. Students can visit the gym with modern tatami and equipment. Classes are held daily in the hall of Oriental Martial Arts (9 Lvivska street). The best student athletes take part in competitions of different levels. Section coaches are Roman Tsykvas and Vitalii Hnatyshyn. Athletics - a sport that combines exercises on walking, running, jumping and throwing. Most athletics exercises are generally known and performed by a person throughout his life. It is well suited for students of economic specialties for the development of professionally important skills. Trainings in athletics are held at the TNEU sports and recreation complex, daily from 15:00 to 17:00, trainers and lecturers of the department are B. P Duda, O. V. Duda, V. I Yakoviv. Table tennis. 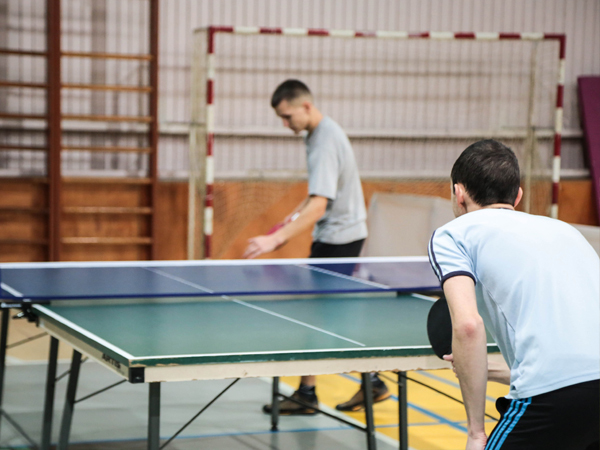 Table tennis lessons are held at 7 Lvivska street (former dining room). Training is on Monday from 14:30 to 17:45, Tuesday from 16:00 to 17:30, Wednesday from 14:30 to 17:45. Coach – Senior Lecturer of the Department of Physical Education and Sport, Andrii Chornenkyi. Rugby (male and female). Training in the rugby section began in 2013 under the leadership of Y. S. Mazurenko. Today the head coach of the female Rugby-7 team is a Candidate of Sciences, Assistant Professor E. I. Maliar. Under his leadership in 2016, the team took the third place in the Higher League of the Rugby-7 Championship among women's teams. The football lessons are conducted under the guidance of experienced trainers, namely: V. A. Levchuk, E. I. Maliar, R. V. Hakh, S. A. Naumov and R. M. Mishchanchuk. Students have the opportunity to play on two sports grounds with a modern synthetic coating, and in two sports halls during winter. During the academic year, the university hosts various tournaments, cups, football Spartakiades. The football team takes part in regional sports games and in the Universiade of Ukraine. Chess. Traditions of chess at the university started back in the distant 1970s. 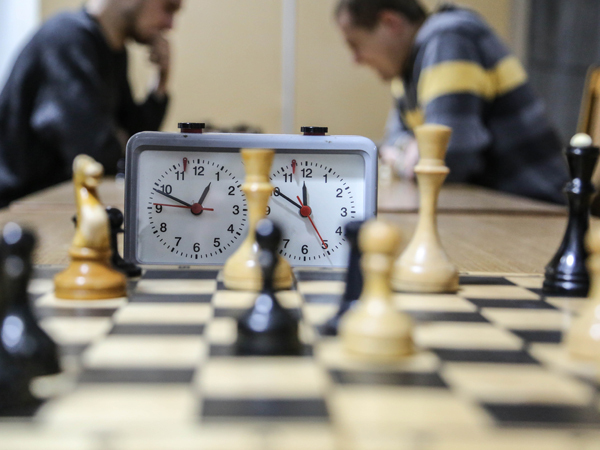 Chess players became prize-winners of both Ukrainian and international competitions. Today, classes are held twice a week, on Tuesday and Thursday from 17:00 to 19:00 at the university chess club (4 Lvivska street). Coach – Roman Mishchanchuk.